This is one of those versatile dresses that you will be able to wear for SO many occasions! It's a simple blank canvas which gives you the freedom to accessorize as you please. 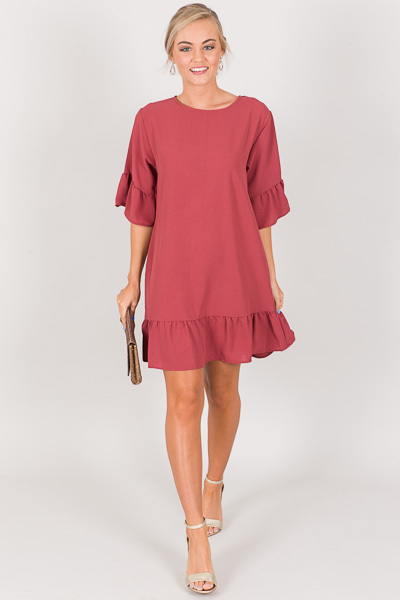 Those bell-sleeves are everything! Dress has pockets and a pull-on fit. Fit is a bit generous. Fabric does not stretch. Model is wearing size small. Length measures approximately: S=34.5" M=35" L=35.5"